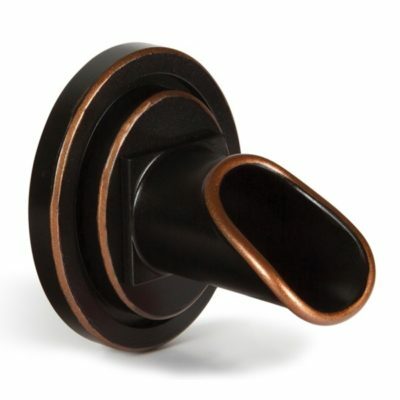 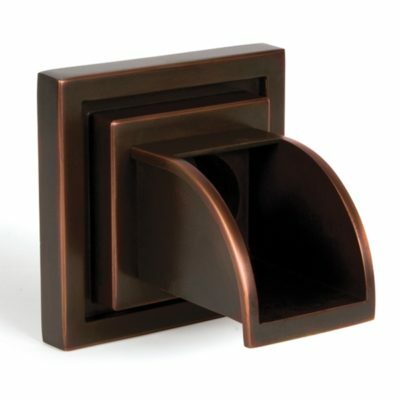 The Atlantic Water Gardens Copper Finish Olivett Wall Spout adds old world charm with a modern twist. 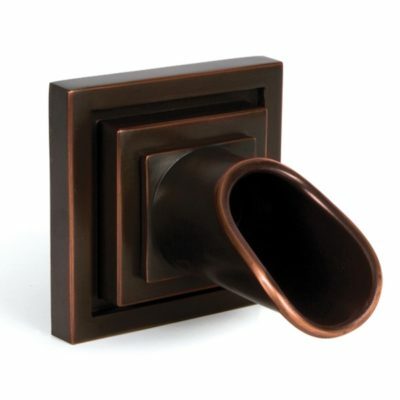 The Atlantic Water Gardens Copper Finish Olivett Wall Spout adds old world charm with a modern twist. 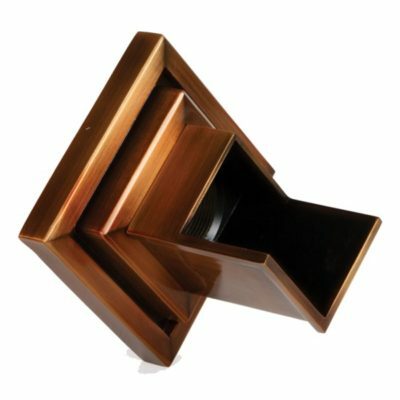 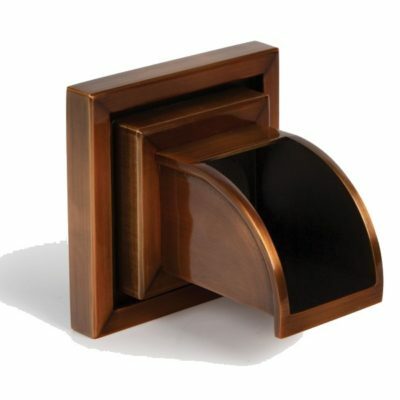 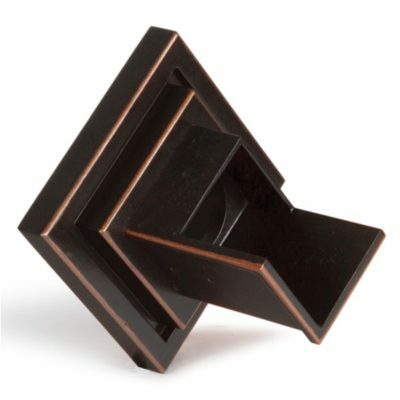 This heavy-duty fixture features a rich copper finish that evokes the past while fitting in perfectly with contemporary walls and patios. 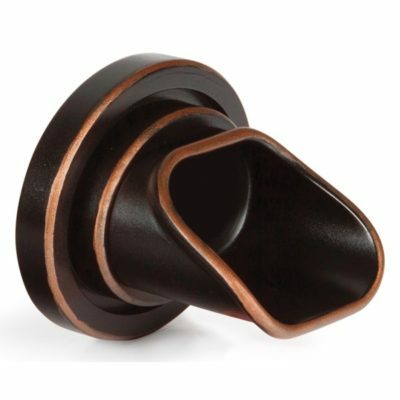 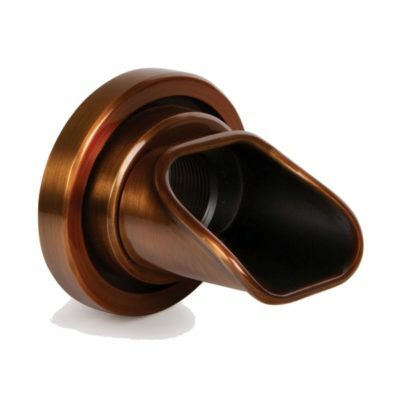 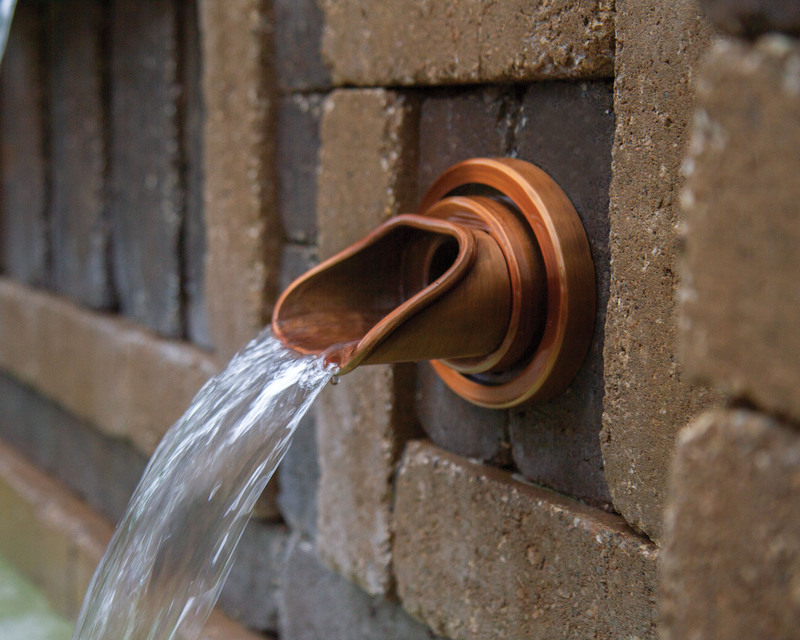 Adding the dimension of light to The Atlantic Water Gardens Copper Finish Olivett Wall Spout is easy. 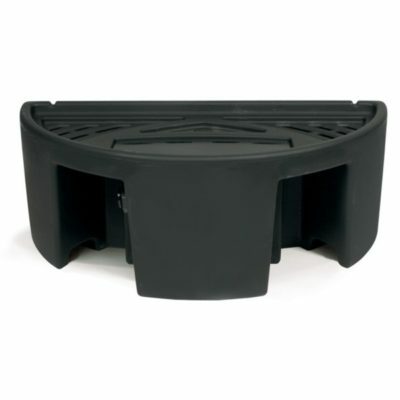 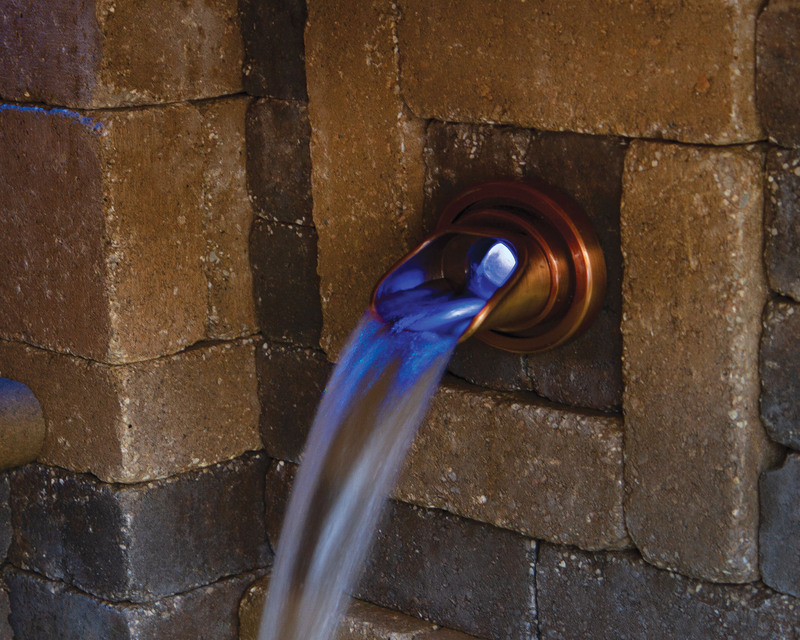 These unique fixtures install inside the plumbing and light the water flowing past them. 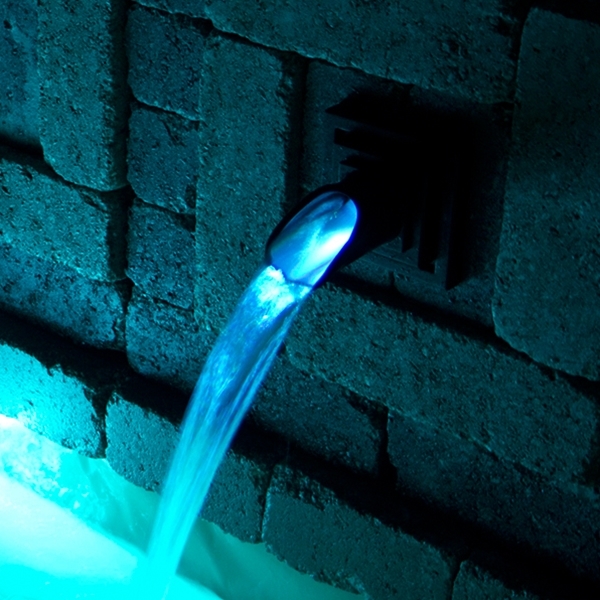 SOL LED Spout Lights are available in your choice of Warm White and Color Changing. 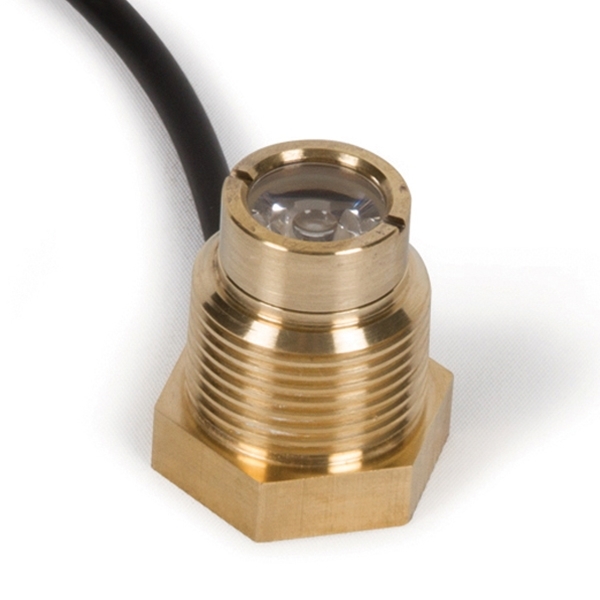 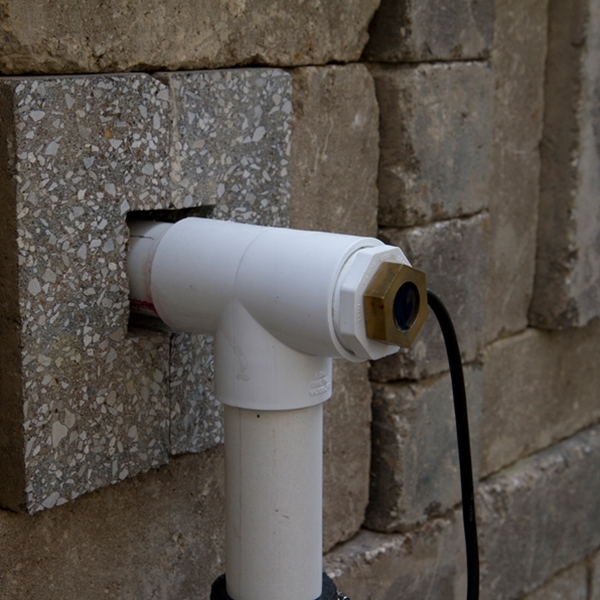 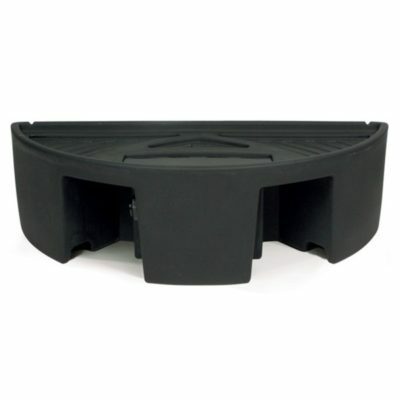 Installing a 1-1/2” tee with a 1-1/2” x 1” threaded bushing on the back side of the wall enables the Spout Light to illuminate the water leaving the spout from within the fixture. 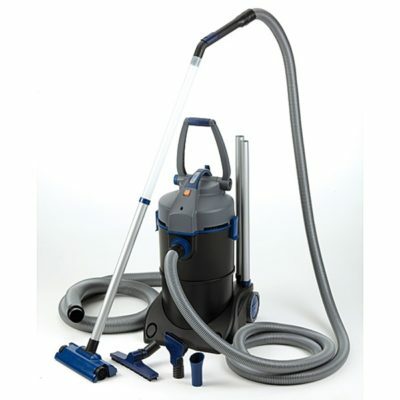 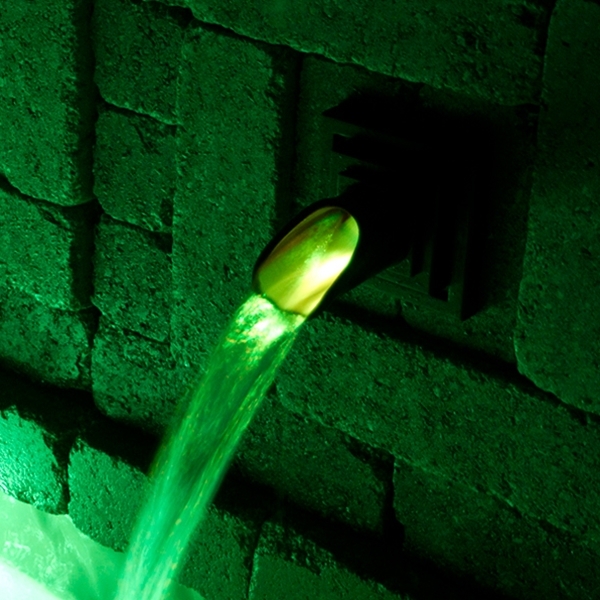 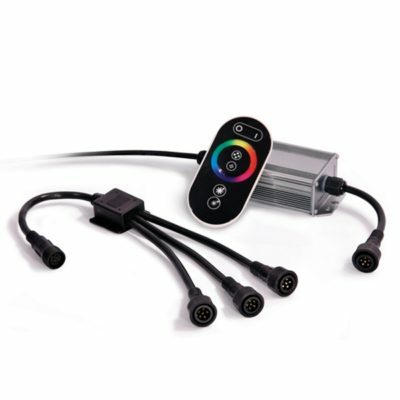 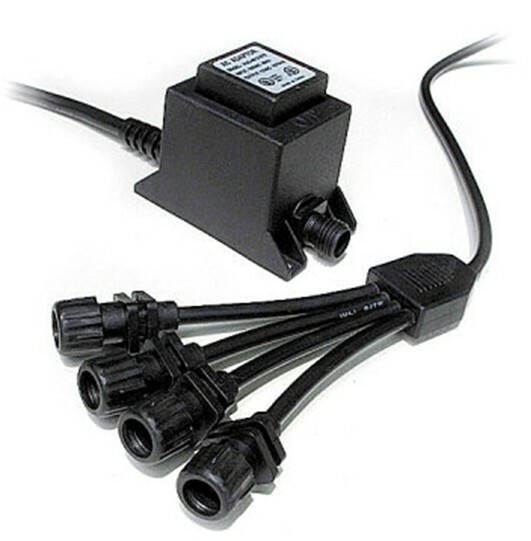 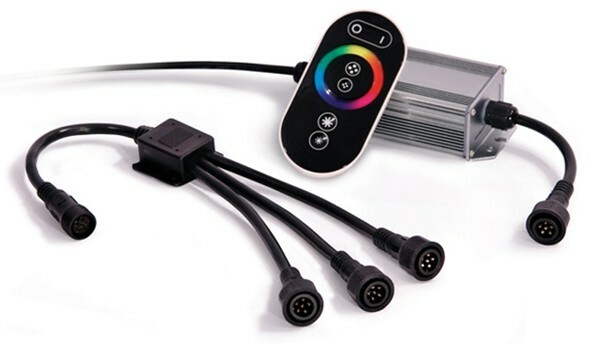 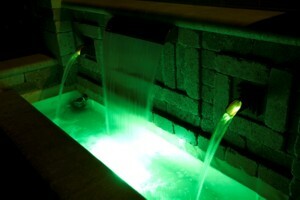 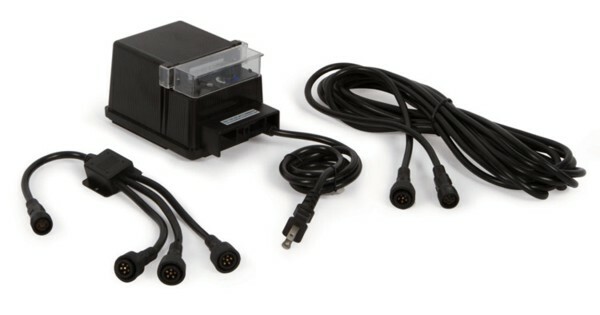 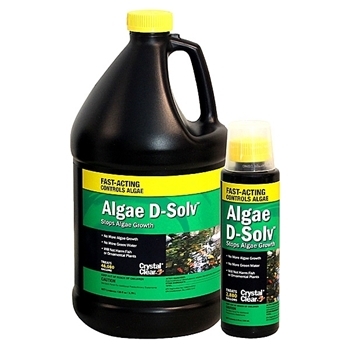 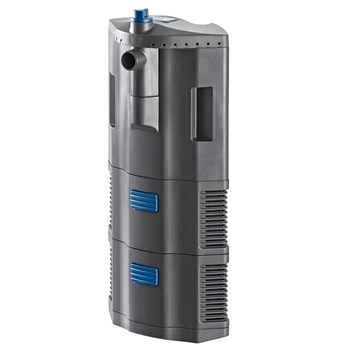 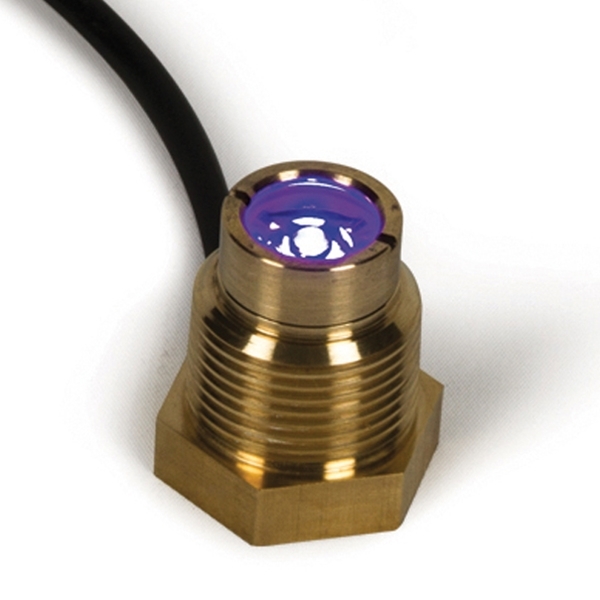 The Color Changing Spout Light can be synchronized with any other Color Changing SOL light or Colorfalls. 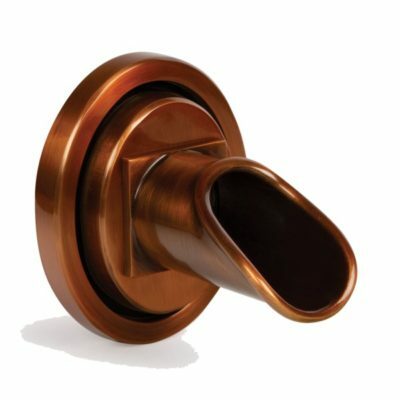 Share the post "Atlantic Water Gardens Copper Finish Olivett Wall Spout (Oval Plate) – FREE SHIPPING"